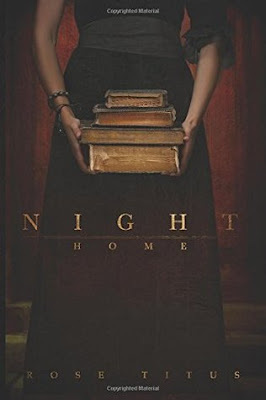 "Her car pulled up into the driveway and she finally saw the house" - the opening line from a wonderful little novella by author Rose Titus entitled 'Night Home'. A young woman named Muriel Aubrey inherits an old house from her uncle. After coming across some old journals she discovers that her uncle was researching vampires! There was certainly enough action and suspense to make this a real page-turner. The characters were well done, the story line unfolds in vivid detail and all in 112 pages. All in all, Night Home was an enjoyable novella which showcases the author's writing talent and gives the reader a satisfying short story.